This book is intended for one term advanced Machine Learning courses taken by students from different computer science research disciplines. It has all the features of a renowned best selling text. 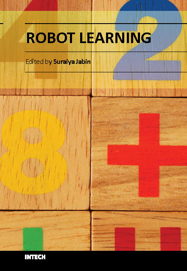 It gives a focused introduction to the primary themes in a Robot learning course and demonstrates the relevance and practicality of various Machine Learning algorithms to a wide variety of real-world applications from evolutionary techniques to reinforcement learning, classification, control, uncertainty and many other important fields. Comprehensive coverage of Evolutionary Techniques, Reinforcement Learning and Uncertainty. Precise mathematical language used without excessive formalism and abstraction. Included applications demonstrate the utility of the subject in terms of real-world problems. A separate chapter on Anticipatory-mechanisms-of-human-sensory-motor-coordination and biped locomotion. Collection of most recent research on Robot Learning.